I believe music is a universal language, a medium in which artists can convey their emotions. Music has unlimited potential as every note, instrumental, beat, and vocal tells a story. I listen to various types of music: rock, pop, r&b, and hip-hop/rap to name a few. However, today I will be focusing more on the last two with one of my favorite artists, Drake. I know there are many who groan and say, “Oh, Drake is so mainstream! All he raps about is YOLO and other typical rap stuff. He never started from the bottom,” and to those individuals I would like to apologize for them not having heard Drake’s music in entirety. I have been a fan of Drake since around 2008, when he first started making music but was the definition of an underground artist. People only knew him from his days of playing Jimmy Brooks on the show Degrassi: The Next Generation. Little did everybody know that he was an aspiring musician at the time and desperately wanted to escape his role on TV for the chance to make his music dreams come true. Granted, he had to support his family, as his mom was ill and his dad lived in Memphis while he lived in Toronto (his parents divorced when he was 6). By no means am I saying Drake had it harder than other rappers like Eminem, I am just simply stating the conditions he grew up in. Drake had no clout when he started to make music as his reputation was just that of a Canadian teen actor. However, Drake didn’t see it like that and he continued to try and make music. He released two mixtapes (a free collection of songs distributed through the internet), Room for Improvement and Comeback Season, in 2006 and 2007 respectively. Those who listened to his music at the first glimpse at a new type of hip-hop/rap which infused r&b. This new “genre” mixed rap and melody together along with new beats/instrumentals which created a much more introspective experience. Drake rapped about his struggles and about life in general, while being completely open and honest. His life would change in the year of 2008, being discovered by Lil Wayne. In 2008, Lil Wayne happened to get a hold of some of Drake’s music and he fell in love with it. 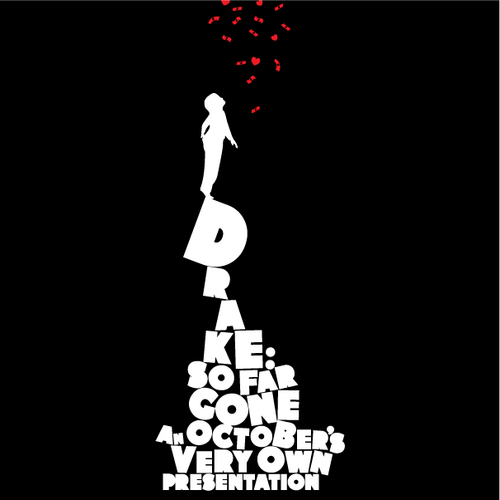 At the time, Drake was in the process of making his third mixtape, So Far Gone. It released in 2009, in my opinion it is the best of all his mixtapes as it is the most introspective and has calming instrumentals. The cover of the mixtape was symbolic to how he keeps climbing and reaching to obtain his goals and that perhaps they were out of his reach but he would still try desperately. In fact, this mixtape was so well received and critically acclaimed that it got him a Grammy Nomination. That’s right, his mixtape got him two Grammy nominations, and Drake was suddenly put into the spotlight. Lil Wayne then signed him to Young Money and now Drake had a record deal, proceeding to release his first album, Thank Me Later. Now more in the limelight, Drake continued to make songs that were uniquely him, integrating introspective lyrics into a sing-song rap style. His love songs quickly got him the reputation of being a sensitive, soft rapper which would later shape his music (this album would get him more Grammy nominations). In 2011, after his smash hit album he released his sophomore album, Take Care. This album pushed Drake to overtake Jay-Z in the charts as Drake became the artist with the most #1 hits in the Hip-Hop/R&B charts. His second album would also give him his first Grammy for Rap Album of the Year. At this point in his career he has two 2x Platinum albums and 1 platinum mixtape and he would proceed to make his third album. Nothing Was the Same came out on September 24th of this year and is already platinum, selling over 600,000 albums the first week. This creation was heavily influenced by his producer since day one, 40. It has been interesting to see how Drake’s music has grown and how he has grown as an artist. 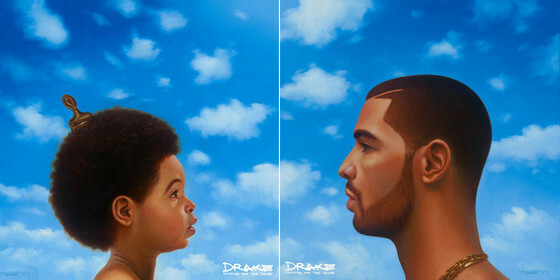 Even his cover art for Nothing Was the Same shows his introspective nature, his present self stares into his younger self and he sees where he started from. Drake’s music is something I can relate to deeply, because he speaks of life and the human experience. His songs about relationships and interacting with people are profound and deep. Sure, he does have some more typical rap songs but those are the mainstream radio songs that are overplayed. The fact these songs are the radio immediately give people the wrong misconception of his music and as a fan it is really frustrating. Drake is the type of artist that wears his heart on his sleeve and on his journey to fame he has not changed as a person. He puts his family first and makes sure that the people who helped along the way get as much of the credit as he does. His music was a gamble, before him a rapper who also sung was unheard of. Especially in an era where rappers are from the projects and shy away from the topics of love and other emotional aspects of life. The vocals and lyrics in his songs are full of emotion and the piano clad instrumental only enhances that effect. His experimentation with sound and creativity and how he has shared it has landed him to be the rapper to bring true hip/hop back to the time where rap was about life and deeper matters. Innovation is something that doesn’t just come out of no where, ideas do but real innovation doesn’t. What sets innovation apart is that it’s the process of taking an idea and making it happen. As I have heard time and time again: coming up with ideas is easy but bringing them to life is the difficult part. In the context of the film industry, Pixar is a perfect example of how creativity can yield an idea worth taking the extra mile and making it happen through perseverance. Pixar Animation Studios is the brainchild of John Lasseter and his team, in the early Lucasfilm animation department, and they wanted to propel animation to what they think it could be. They saw it is a new medium for expression and something that was undervalued at the time. The creators of what would be Pixar wanted to expand animation and experiment with it through the use of computer software. They desperately sought funds to get their project off of the ground and after many denials they eventually ran into Steve Jobs. Jobs would fund Pixar and also gave them access to whatever technology they needed. Pixar nearly lost everything and Jobs kept investing money to try and save the company. In fact, Pixar would get its name from one of the computers they developed. The idea that computer generated animation would cut production costs fascinated Pixar and it also intrigued buyers of their computers and software, such as Disney. Walt Disney Animation Studios was looking to computer animation and eventually made a $26 million dollar deal with Pixar for three films. Before this deal, Pixar was lucky enough to create a few commercials for companies like Tropicana. One of Pixar’s earliest ideas for their partner was about toys, yes Toy Story.